NG Biotech develops and manufactures novel in vitro diagnostic tools for therapy monitoring at the point of care (onsite), including a range of CE marked rapid tests. Its proprietary patented immunoassay platform enables the development of quantitative and multiplex point of care diagnostics and can be adapted to detect or monitor any kind of antibody, antigen, pathogen, parasite, hormone, or drug. 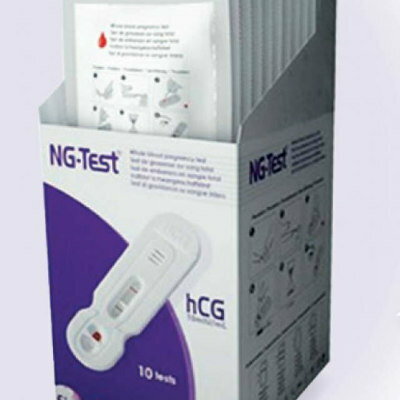 The NG-Test Blood Precision hCG is the world’s first fully-integrated blood-based rapid test for the detection of hCG levels in pregnancy using an innovative lateral flow platform and delivers highly accurate results in just five minutes. The device platform incorporates a built-in safety lancet, unique blood collection and delivery system, and integrated buffer delivery feature, which collectively help to prevent user-related errors and improve test performance.